Deluxe three disc set (two CDs and one NTSC/Region 0 DVD), part of Universal's outstanding Sound & Vision series, with each disc packaged in it's own individual cardboard sleeve and all three tucked inside a cardboard slipcase. Disc One features 18 of the Cure's best-known tracks including 'Friday I'm In Love', 'Boys Don't Cry', 'Close To Me', 'Just Like Heaven' and more. 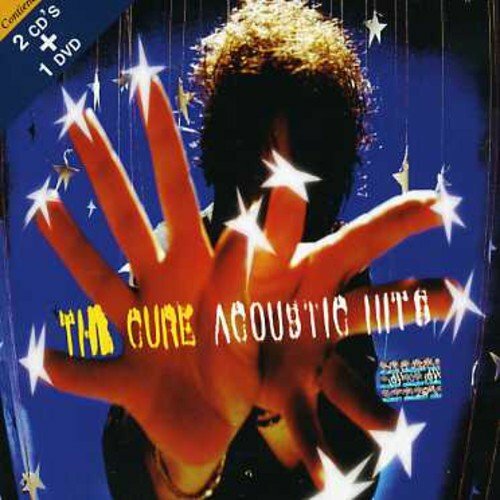 Disc Two features the same tracks performed acoustically by Robert Smith and the boys. Disc Three is a DVD featuring the videos for the 18 tracks on Disc One plus six of the same songs performed acoustically as featured on Disc Two. Most certainly a feast for the Cure fan's ears and eyes! If you have any questions about this product by MSI:UNIVERSAL/POLYGRAM, contact us by completing and submitting the form below. If you are looking for a specif part number, please include it with your message.